Sometimes one shower head doesn't reach the furthest points of your overweight body while leaving soap suds inside the deep crevices of your body folds, thus making your shower take three times as long as it should. 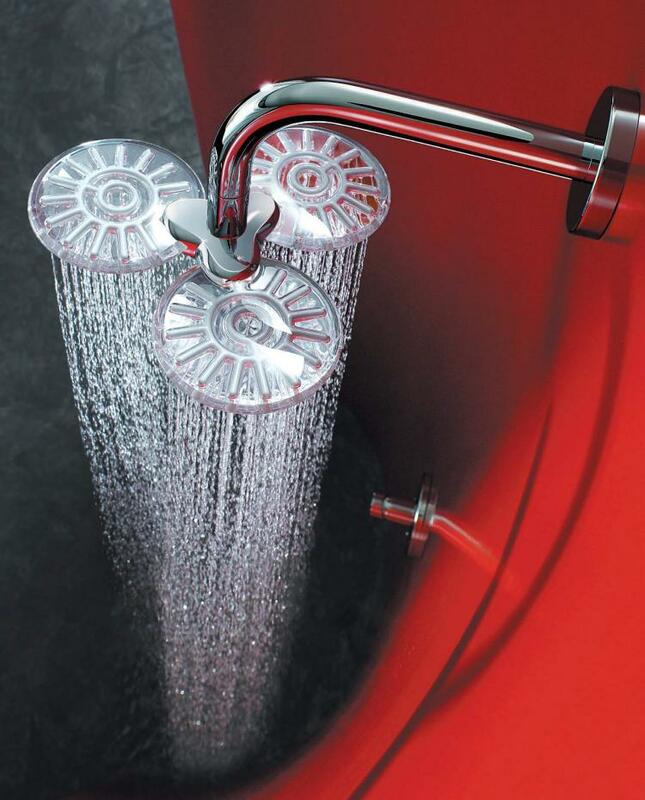 The HansaClear shower head contains three shower heads in one, which allows for a wider area of water that pours down upon you and cleans every inch of your body that's been laying in your bed of garbage you've created in your home after having a failed appearance on the TV show Hoarders. Not only does it allow for more surface area to be reached with the water, but will also make it feel like you're under a luxurious waterfall, when in reality you're in a dirty bath tub that you haven't cleaned in over a year which causes you to have to wear sandals while you shower. 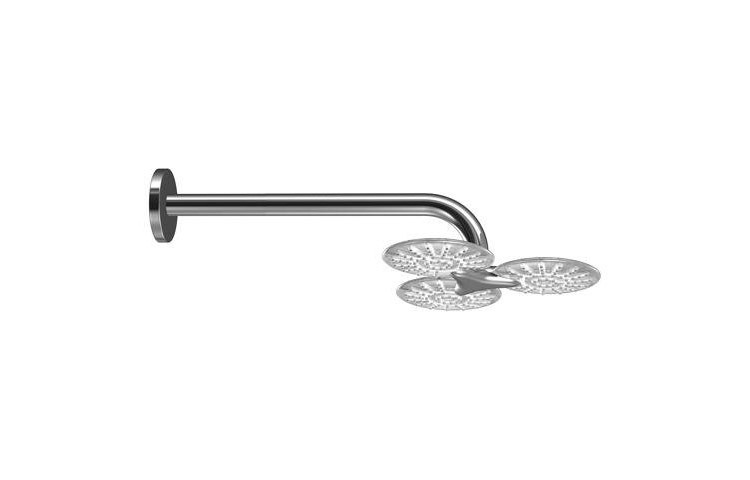 The Hansa triple shower head not only replaces your shower head, but it replaces your entire wall mount as it attaches directly to your wall, so it's going to be a little more work than just replacing a single shower head to get it going. 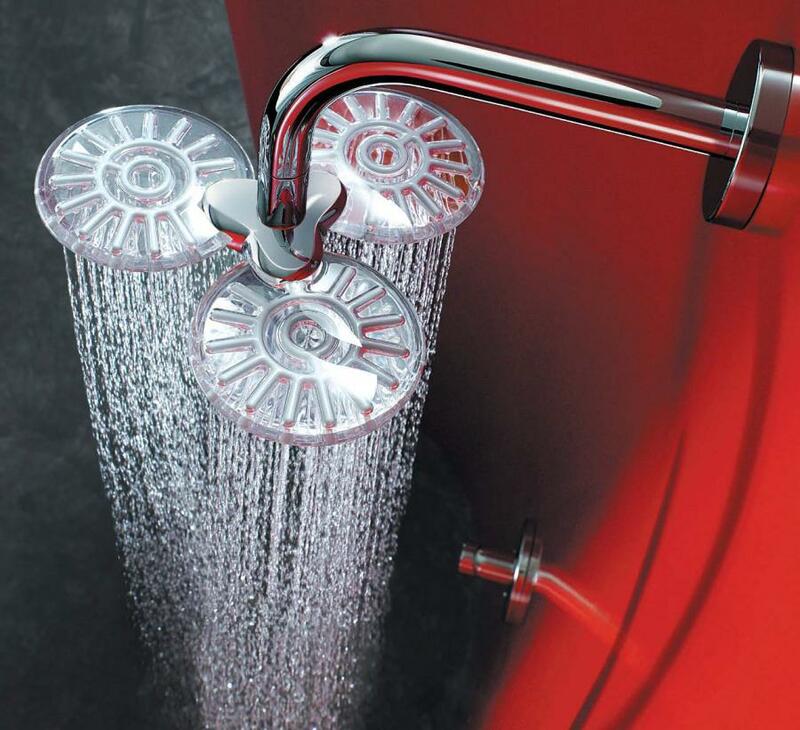 The triple shower head is made from chrome with a transparent finish, uses anti-limescale technology, has a flow rate of 2.5 gallons per minute at 80 PSI, weighs 6.2 lbs, and measures 20.5 inches long x 9.5 inches tall x 9.5 inches wide.